Being a dad is the most difficult, mind-racking, exhausting, and frustrating responsibility I’ve ever had. Yet at the same time, fatherhood is definitely the most rewarding, exciting, fulfilling, and unselfish act I have experienced. Fatherhood has changed dramatically over the years. Where dads, generally speaking, in the past were looked at as incapable of handling a day with the children without mom, today this has changed with full or part-time stay-at-home dads, single dads or active co-caregivers. Navigating fatherhood can have its challenges. Over the years I’ve learned from my mistakes and my successes. Following are two tips which can help in building and maintaining a strong relationship with your child(ren). Being a Dad is a 24/7 job, and a life long role. The weight of which is a bit unnerving when you think about it, but its ok. There is no manual for children, whether born to you, adopted or by marriage. All children are different and they need to be reared based on their individual needs and character. You will make mistakes and they may hurt you and your child, but if you parent to the best of your ability, and love, care, protect, and instruct them for their betterment over the child’s life, the mistakes will be outweighed by care given to them. Secondly, mistakes will happen; it’s how you respond to them. We often times want our children to apologize to us for their wrongdoings, but we neglect considering apologizing to them. We as parents are not perfect, even if we think so in our minds. Side bar…It was long overdue, but I apologized to my daughter when she was a teenager for years of misunderstandings. Best thing I ever did as it opened up healing for both of us, and lead to a stronger relationship today. Finally, try not to leave a lot of time between mistakes and corrections so whatever negative emotions are smothered before they begin to grow. We all know it can take years before our children fully understand and appreciate what we attempt to do for their well-being, but I believe how we respond to our mistakes will help them realize much sooner. In conclusion, always remember to respect the responsibility and enjoy the “gifts” we call our children. 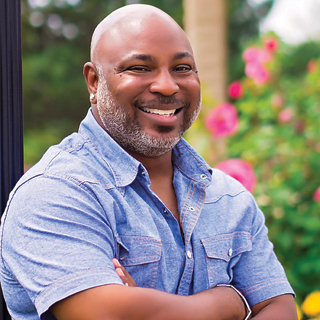 Darren W. Carter is founder of Darrenwcarter.com, a site focusing on Faith, Family, Fatherhood and a lot of Fun! 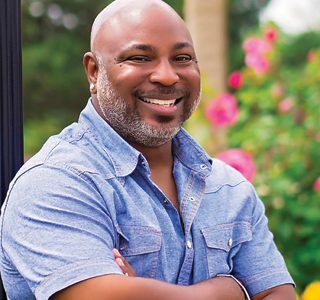 He is also co-organizer of Cleveland Dads Group, a community of dads in Cleveland, Ohio who are active in their children’s lives and founder of All Geared Up – A Family Bike Event, an event that focuses on family time and healthy lifestyles. He’s an unconventional dad that shares his life’s journey in hopes that his errors as well as triumphs can be gleaned tidbits, which can help his readers in any way possible.